Some Confederate flag manufacturers ask: Is it ok to make it? Some Confederate flag manufacturers are taking a hard look internally and wondering if they should keep making it. The flag of the Confederate States of America has always been controversial. To many, it's a symbol of racism and the institution of slavery, while supporters say it represents the South's heritage. South Carolina has flown the flag on its Capitol grounds since 1961. Now that the so-called Stars and Bars is linked to last week's church massacre in Charleston, S.C., some flag manufacturers are having a serious discussion about whether they should continue to make it. "We don't want to cause someone continued pain because what it represents," said Reggie Vanden Bosch, president of the Flag Manufacturers Association of America in Wayne, Pa. "We'll definitely spend time as an industry group discussing that." The group represents about 38 flag manufacturers and retailers. Vanden Bosch is also vice president of sales for Valley Forge Flag, a 133-year-old maker of flags from more than 200 countries, states, territories, and also branches of the U.S. Armed Forces. He said sales of the Confederate flag comprise a "miniscule" part of his overall business. Earlier this month, Dylann Roof from South Carolina was charged with murdering nine African-Americans, including a state senator, at a historical black church in Charleston. Prior to the shootings, he posted social media images of himself brandishing a Confederate flag. 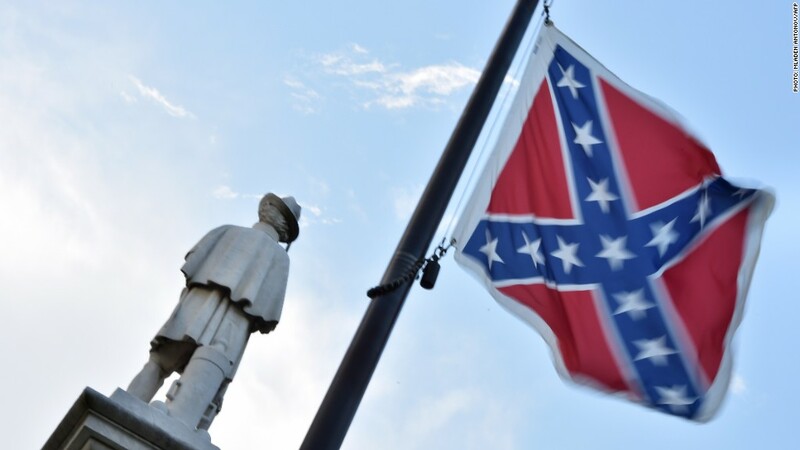 Since then, many have called for the flag to be removed from the South Carolina state capitol. Former Presidential candidate Mitt Romney tweeted "Take down the #ConfederateFlag at the SC Capitol," and President Obama retweeted him. Former Florida governor Jeb Bush said in a Facebook post: "My position on how to address the Confederate flag is clear. In Florida, we acted, moving the flag from the state grounds to a museum where it belonged." South Carolina Governor Nikki Haley responded Monday in a news conference where she called on the state's legislature to remove the flag from the Capitol grounds. Not all manufacturers want to be caught up in that debate. Pete Van de Putte, president of Dixie Flag Manufacturing in San Antonio, Texas, said he makes and sells thousands of flags, including the gay pride rainbow flag and the North Korean flag. "I'm aware that there are people who find certain flags offensive," he said. "But if you're in the business of making flags and symbols, you're not in the business of making value judgments."